Happy freestyle Friday! I am so excited about todays craft idea because it has to deal with welcoming a new baby. I love babies! How they smell, their tiny feet and hands and oh how peaceful they look when sleeping. Well, I am helping a friend welcome her little girl in the world. I wanted to create something for the nursery. 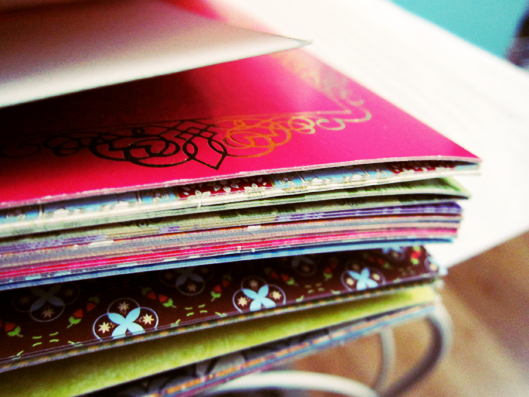 I spotted a DIY project by fellow blogger Le Zoe Musings. You’ve gotta to check out her little girls nursery. It puts my bedroom to shame! Her instructions which I have below are easy to follow(see my version below). I just modified a bit, I used a Dollar Tree picture frame which I painted white. 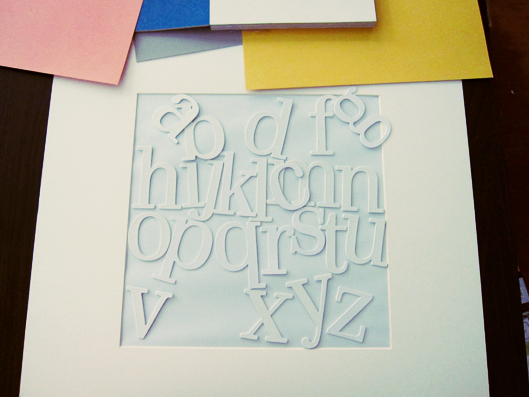 I also scored sticky letters from Michaels for $1.25 on sale. And to highlight the baby’s name I painted my letters with acrylic paint. What do you think? The following are Le Zoe Musings. Directions via her blog. Ok. 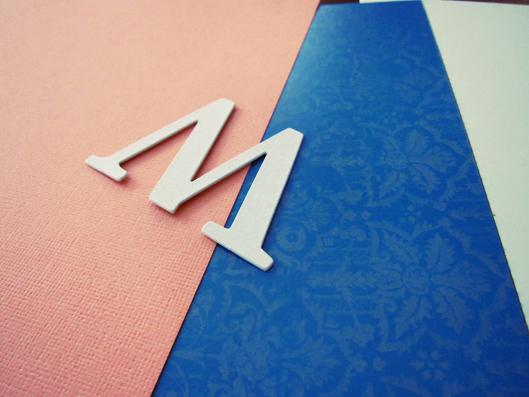 So I know this word has been redundant in my blog but this project really is SIMPLE! 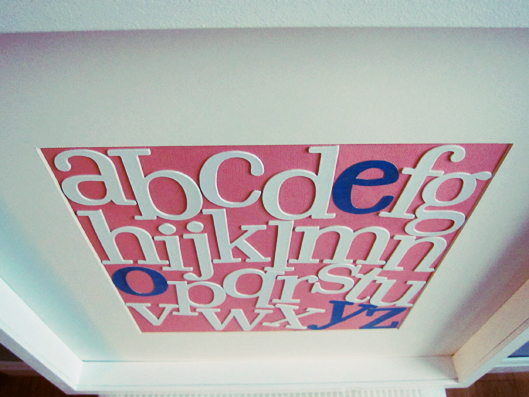 Every nursery needs an ABC artwork so why not integrate your baby’s name into it and make it personalized? It started with a black frame that I got from Ikea’s AS IS section. I had no use for it but b/c it was dirt cheap, I figured I would use it ‘someday.’ Surely enough, I did and it serves its purpose fairly well! I had to paint the frames stark white b/c nothing in Zoey’s room is black. 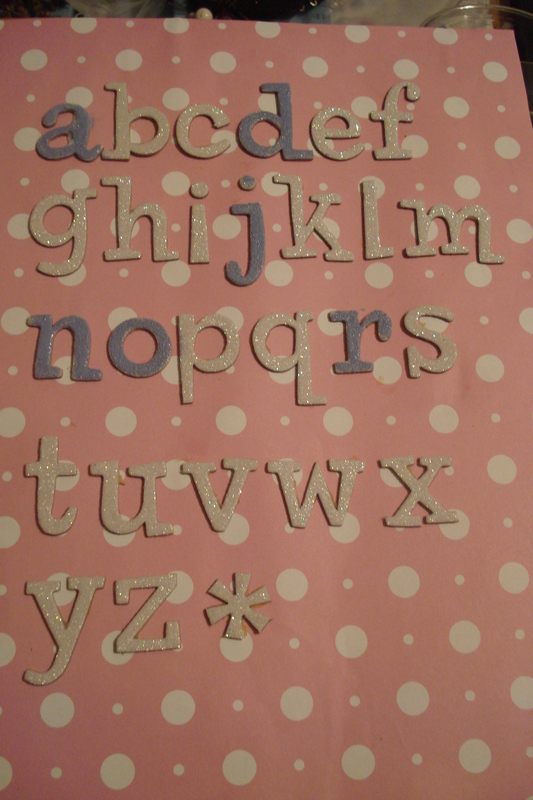 Got these white glitter (subtle) letters from Michaels. They always have 40% off coupons on their website so print them out and utilize them. 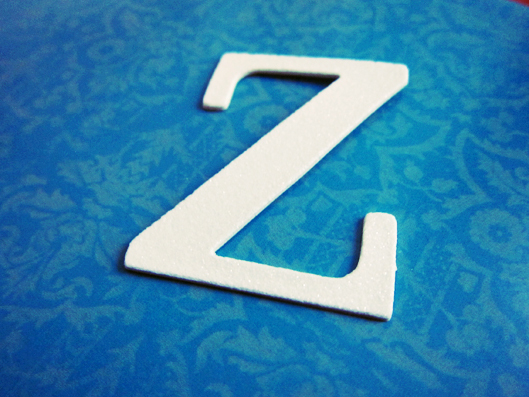 From my scrapbook stock paper collection, I chose a pale pink as the background and a patterned blue as the letters for Zoey’s name. A quick glance at the color combo of the artwork and I approved! 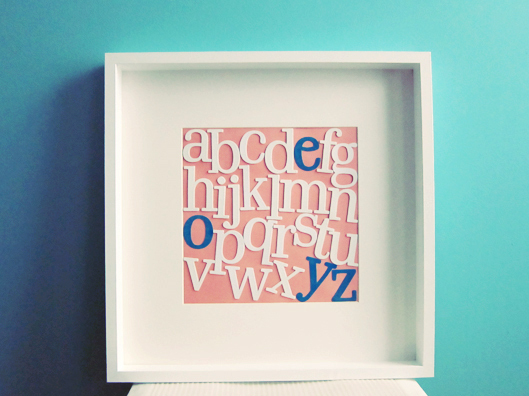 Lay the letters out onto the frame so you can have an idea of how it’ll look. 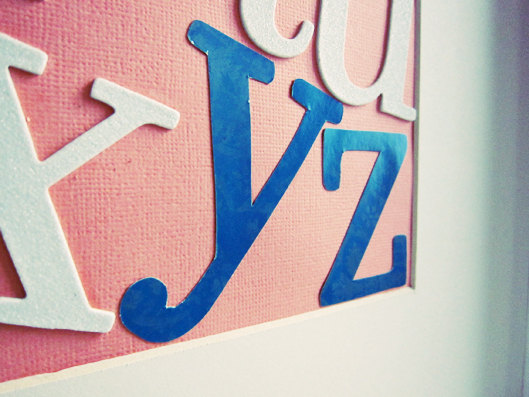 For Zoey’s name, I traced the letters of her name onto the blue card stock and cut them out. Have fun doing this for your little one. However, zif your child is old enough to spell his/her name this would be a fun project to do with them. Creative bonding time! To see where this cute artwork lives, please visit Zoey’s Nursery Boutique! Happy Freestyle Friday: Super Cute idea I found from a fellow Mom blogger. I am attending a baby shower this weekend. I may add this to my gift. enjoy!